We’re going to ask you to just look a bit past reality with this fan theory. After all, the Toy Story franchise consists of animated feature films, while Parks and Recreation is live-action television. However, if you can ignore all of that, then this theory actually makes a ton of sense. For 15 years we watched Toy Story‘s Andy, his love for his childhood, and all of the things that came with it. Then in 2009, we were introduced to our beloved Andy Dwyer on NBC‘s Parks and Recreation. Played by the hunky Chris Pratt, Andy is a simple but fine young man who seemed to be able to hold onto his childhood in a way that most adults cannot. But, what if these two character’s love for childlike things wasn’t just one of their many similarities? What if they were actually the same person? 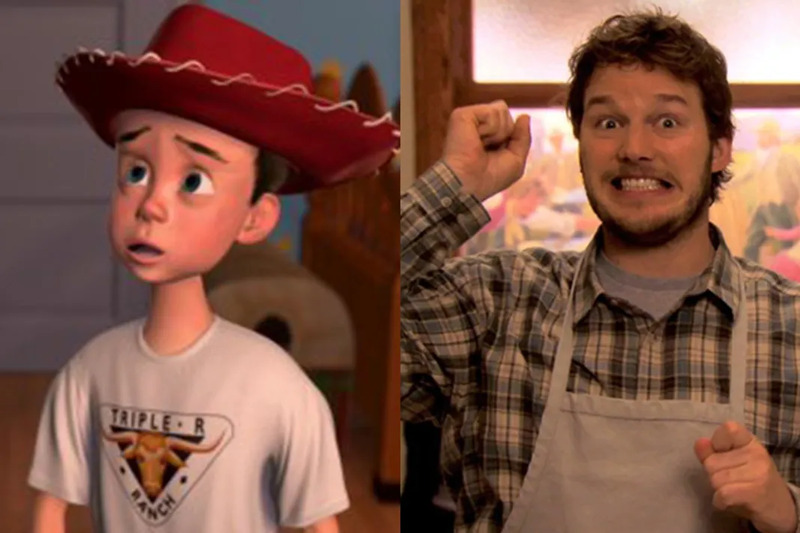 The only flaw we can see in this theory is that in Toy Story 3, Andy’s last name was revealed to be Davis… but we’re also thinking that Davis and Dwyer are similar enough for Parks and Recs Andy to get confused. Did This Happen in 'The Office' or 'Parks & Rec'?